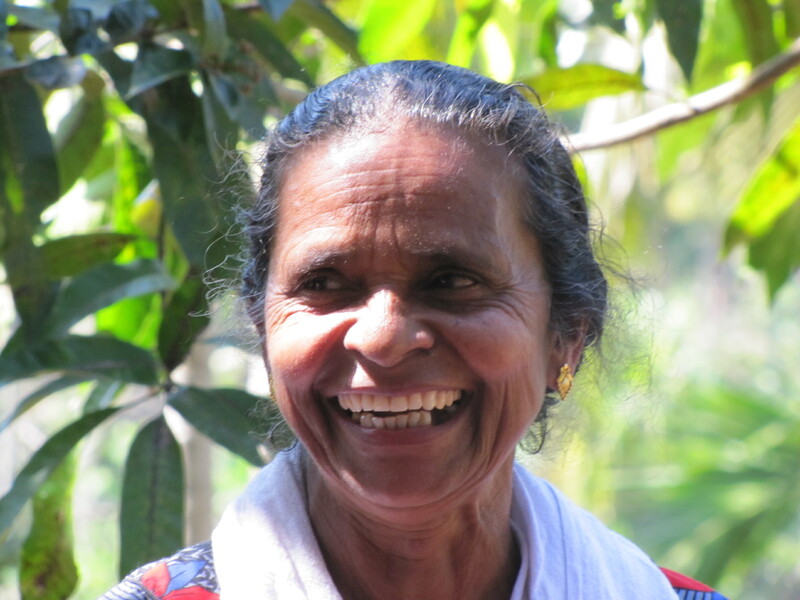 Fair Trade Plus Three: Biodiversity, Food Security, and Gender Equality in Kerala, India | Small Farmers. Big Change. A brief stop on our way back from a meeting with one of the women’s groups organized through FTAK, somewhere between the towns of Kudiyanmala and Vellad. 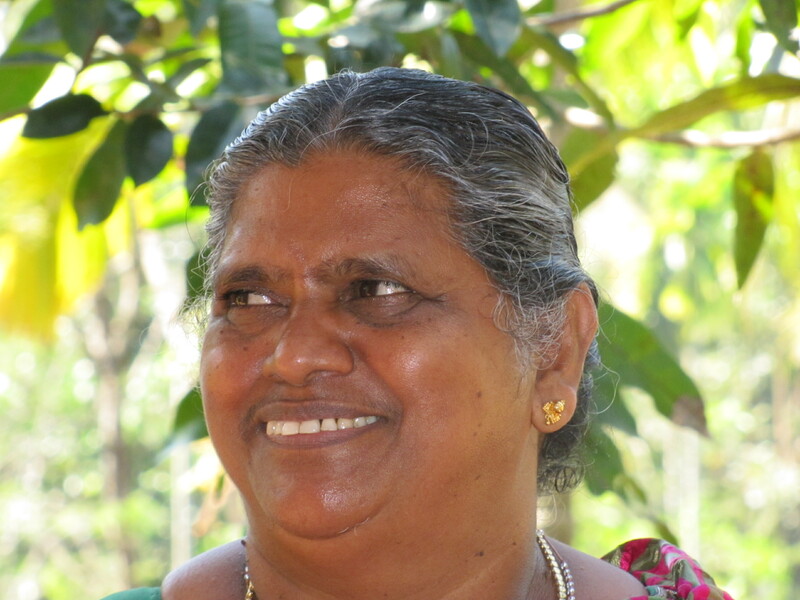 Fair Trade Alliance of Kerala, (FTAK) a 4500-member co-operative of small farmers in southern India, has created an exciting initiative to articulate and put into practice what most fair trade farmer co-operatives understand empirically. Fair Trade is important but it’s simply not enough. It’s a starting point; a means to an end; certainly not the end itself. Like kicking off the day with a well-balanced breakfast, selling cash crops on fair trade terms is a foundation from which so much else becomes more possible. But, like the role that a healthy breakfast plays in someone’s day, it is what comes afterwards that brings true community empowerment, development, and social change. Meeting with the Thalakallu women’s group in the community of Asankavala. FTAK is not the only Fair Trade co-operative that has initiated specific programs to protect the biodiversity of their regions; ensure that their members have access to diverse sources of locally-produced, nutritious food; and recognize and actively promote the role of women in all areas of family, co-operative, and community life. Many fair trade co-ops carry out programs in some of these areas. However, by consciously articulating their Fair Trade + 3 Initiative in their mission statement, FTAK sends a strong message to their members and the world about their values and priorities. 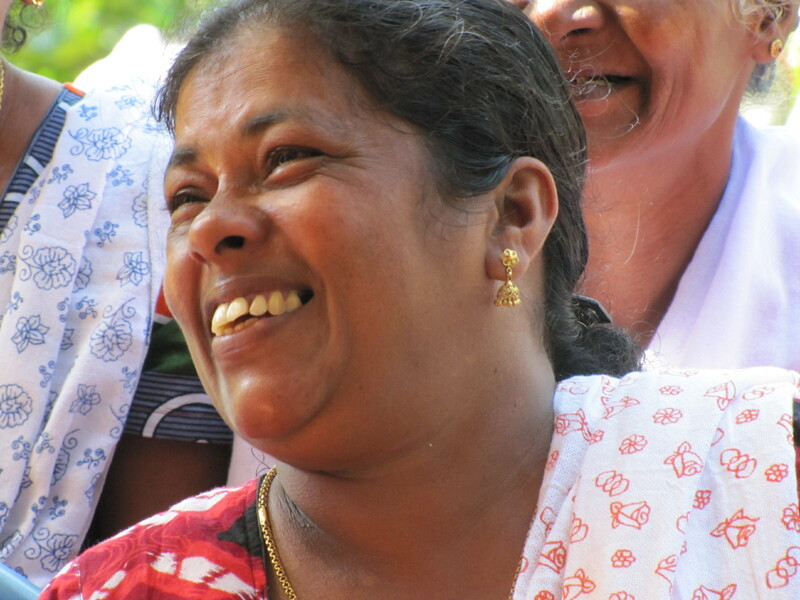 By elevating these issues to the same level as their fair trade program, the forward-thinking Kerala farmers demonstrate that women, the environment, and food security are three interwoven strands, interdependent and of equal importance. Fair Trade is a tool, but a successful co-operative needs many tools in its toolbox. 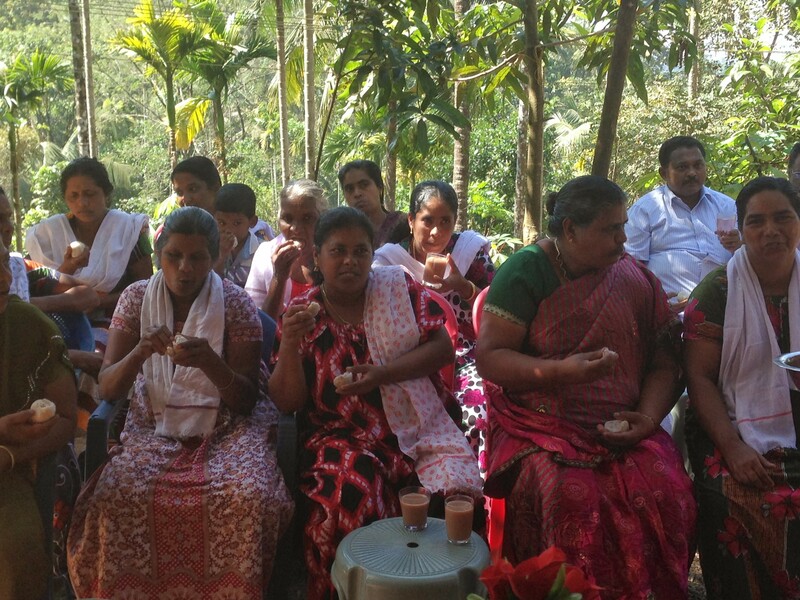 In December 2013, four of us from Equal Exchange traveled to Kerala where we had an opportunity to spend five days with the farmers of FTAK. We spent many hours traveling through the coconut-tree studded tropical landscape of northern Kerala; meeting with farmer groups, women’s groups, FTAK staff and board; touring small farms lush with fruit trees, wild and cultivated plants, and gardens; visiting cashew and coconut processing plants; and participating in dinners, festivals, and even a party down by the riverside. Throughout all this, we learned about FTAK’s organization and structure, the production and processing of their coffee, cashews, coconuts, and spices which they sell into the local and international market. We shared our views on Fair Trade and learned more about their ideas and initiatives on gender equality, biodiversity, and food security. Unfortunately, our trip didn’t overlap with the Seed Exchange, one of the most important events that FTAK organizes as part of their Fair Trade +3 initiative. Farmers from all over Kerala save their best seeds throughout the year in anticipation of this agricultural fair. Each January, they then come together to trade seeds, learn new farming techniques, and buy and sell livestock and domesticated animals. 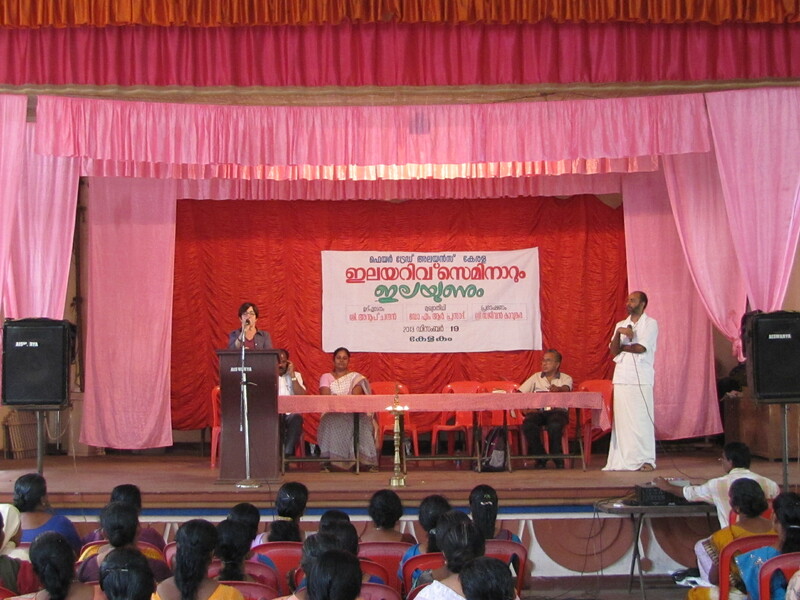 We were pleased, however, with the opportunity to participate in another exciting FTAK activity, the Green Leaf Festival, held at the Ujjaini Auditorium in the community of Kelakam. As its name indicates, the festival is both a celebration of the biodiversity of the region, and a food security initiative designed to bring people together to learn how to identify, prepare and cook with the organic plants that grow wildly on their farms. Walking into this beautiful community center, with its clean white walls, open windows, high ceilings, and full-out party decorations, we could feel the excitement, anticipation, and significance of the event. We were immediately greeted by a few of the women whom we had met the day before in Asankavala. Dressed in the most elegant saris, they welcomed us shyly, but with warm smiles that immediately made us feel comfortable. Individually, the FTAK farmers don’t own much land, but what they lack in acreage, they certainly make up for in biodiversity. We had seen this when we visited farms where the owners grow herbs and spices, vegetables, coffee, tea, cacao, henna, cashew, coconut, and other fruit trees. In fact, an average FTAK farmer could have as many as 85 different crops and plants on his or her farm. In addition to those plants they intentionally cultivate for personal consumption and income generation, there are many plants that grow wild on the farms. Some of the knowledge about these plants and how they can be cooked or otherwise used has been lost over time. Thus, the purpose of the festival: over a hundred women (and a few dozen men) were invited to participate. 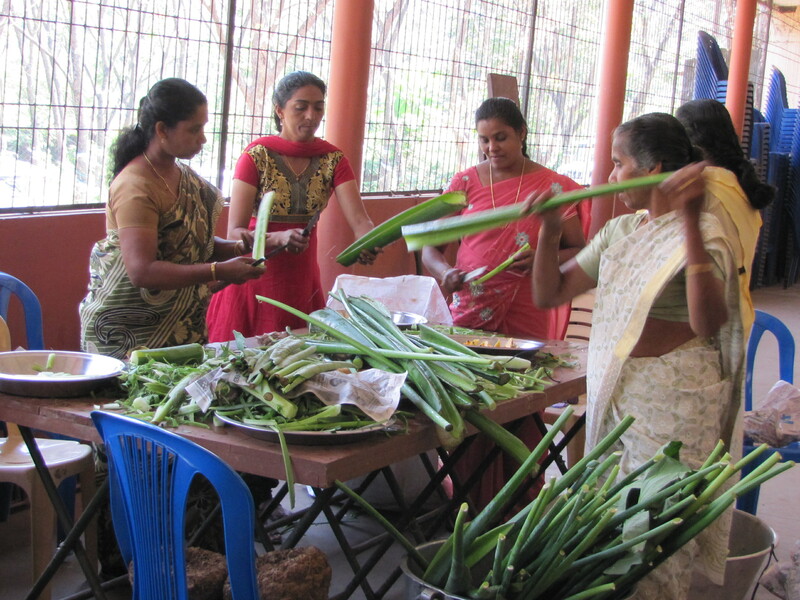 They were asked to bring with them a variety of “leafy greens” from their farms that they might not be familiar with, and in small groups, they would practice cooking with them. They were also invited to bring food from their farms to prepare for lunch. The day would end with a huge banquet of food entirely coming from and prepared by the FTAK members. 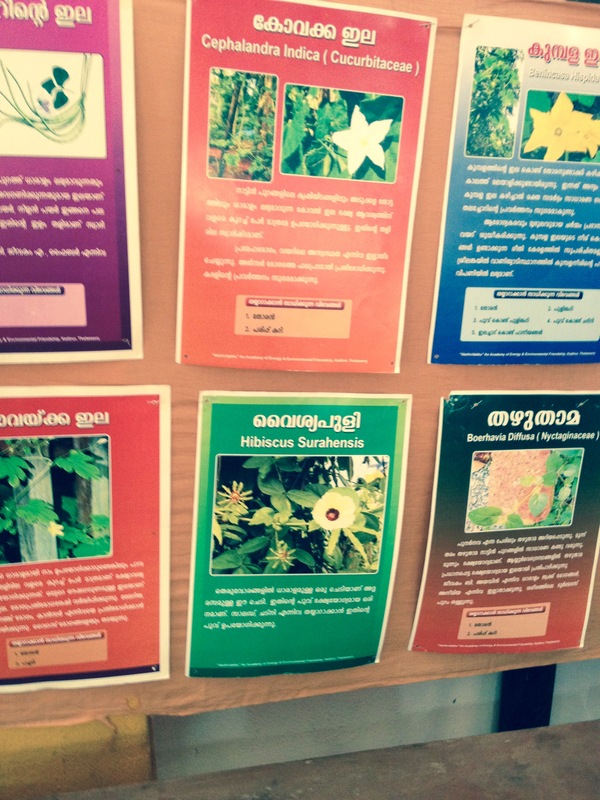 Posters lined the wall, showing the variety of wild plants, and their various properties and uses. In the main auditorium, the event officially began with a formal opening, brief introductions, and some presentations about the Fair Trade +3 initiatives, the importance of food security and resource conservation, and the role of women in all of these activities. Standing, on the right, Tomy Mathew, founder of FTAK. In the meantime, in another room, the real work was happening! 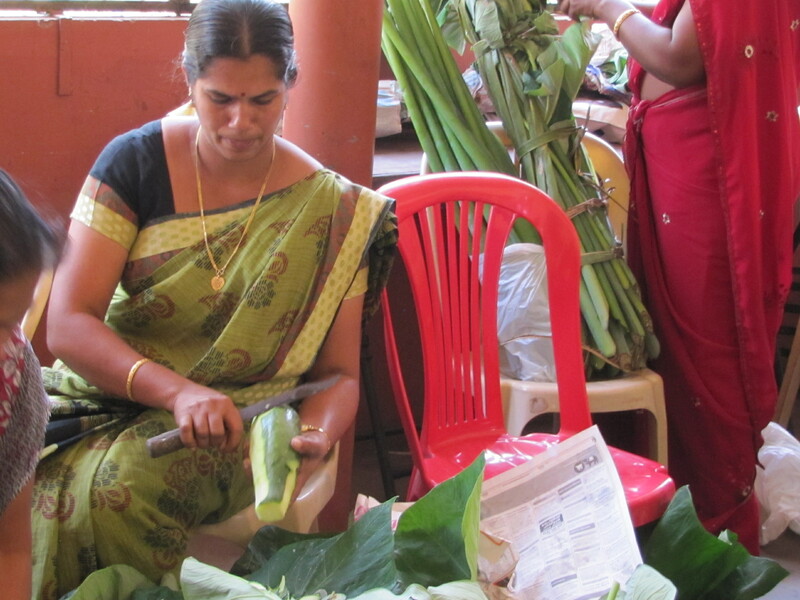 All day long, small groups of men and women were washing, chopping, and cooking a variety of food – and many leafy greens! In small groups, they exchanged ideas about the greens and learned to cook them with the idea that they would go back to their communities and train their neighbors. 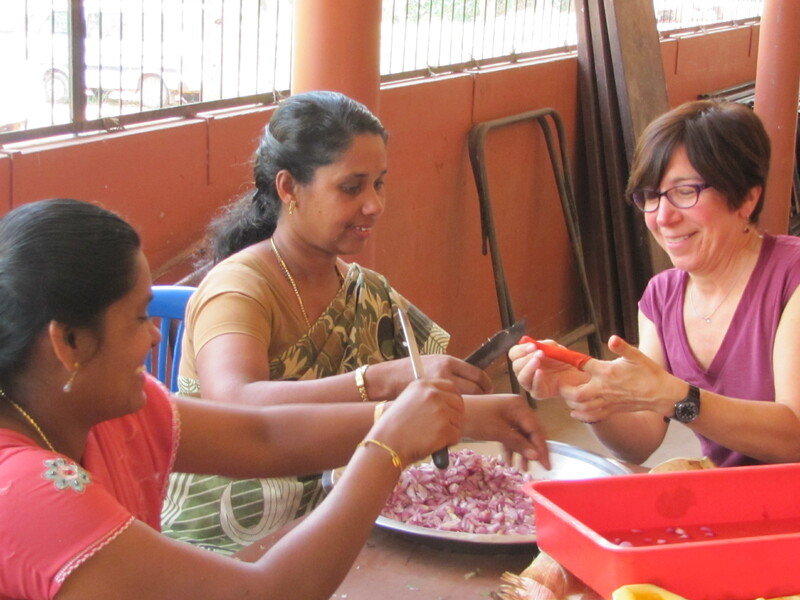 In other groups, women were preparing the food that would eventually become the banquet we would all enjoy before the end of day: everything we ate that day was grown and prepared by the participants themselves. Finally, the formal activities were finished and the eating began! In a flash, the men set up two long rows of tables and chairs. 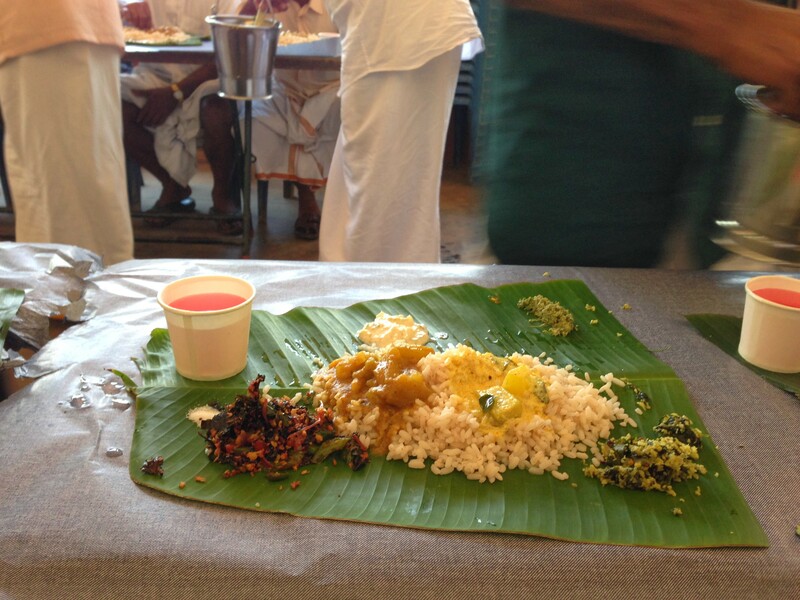 Boom, boom, boom, they lay down paper table cloths, and a large banana leaf to serve as a plate. We all sat down and the men came down the row one at a time, each scooping a portion of some spicy, mouth-watering, vegetarian dish, spiced just right (all spices also coming from their farms). 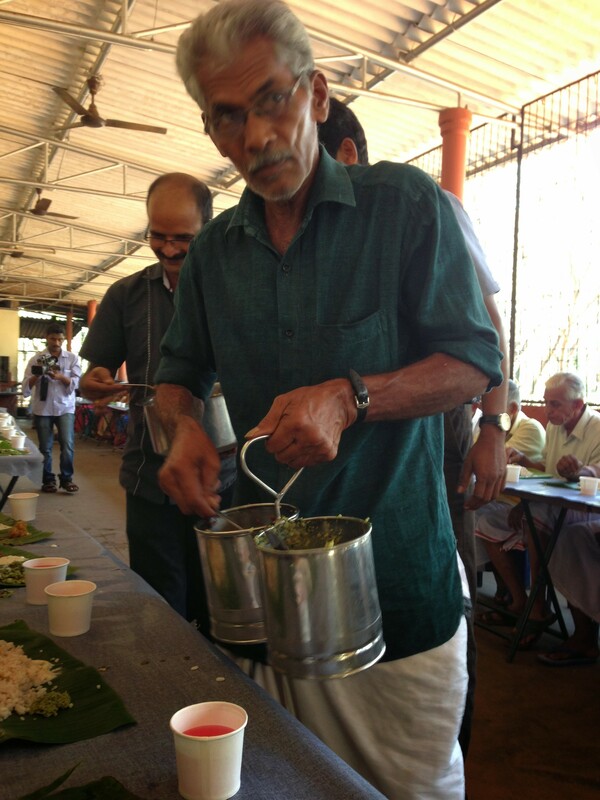 In no time at all, we had finished our meals, and in a flash, the entire paper cloth, banana leafs and food was lifted from the tables, and the tables reset until everyone had eaten their meal. Efficient, economical, and environmental. Zero waste. And delicious to boot! We had many fascinating days in Kerala and we learned enough to fill an entire notebook on that trip. 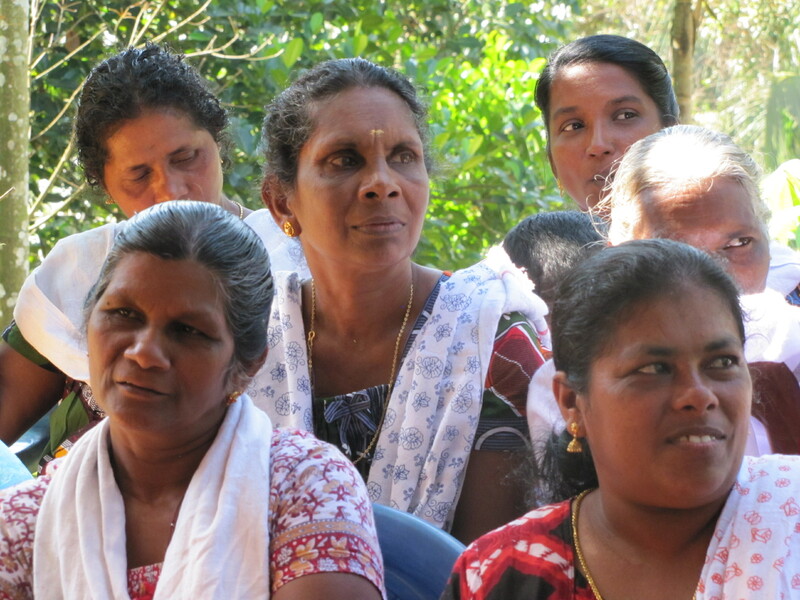 Coconut processing, cashew processing, visions for the future, challenges, and successes. At another point, we’ll share some of those stories as well. For now, I’d just like to end with some photos of the women we met at the meeting who later were part of the Green Leaf Festival, greeting us like long-lost friends when we saw them in the community hall. And finally, while I’m on the topic of festivities, here is a one and a half minute video you might enjoy of our bonfire party down by the river. Those FTAK farmers are not just hard working and visionary, but they are full of life, incredibly fun, and such gracious hosts! Thanks to FTAK and to all those of you who buy our cashews and help support this entrepreneurial and innovative small farmer co-op!!! Thanks also to my colleagues and traveling companions, Wells Neal, Deepak Khandelwal, and Rink Dickinson! Photos taken by Wells, Deepak, and Phyllis. Riverside video put together by Deepak Khandelwal.